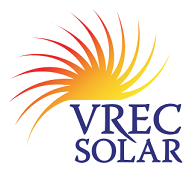 Vancouver Renewable Energy Cooperative (VREC) is values based business that sells and installs renewable energy systems. Our mission is to reduce greenhouse gas emissions, other pollution and the consumption of non-renewable energy sources by installing fairly priced renewable energy systems. We have been in business since 2004 and are the leading installer of grid-tied photovoltaic (solar electric) systems in Metro Vancouver, having installed the first such systems in several municipalities. Since 2010, we have expanded our products and services to include other renewable energy technologies, most notably solar hot water and solar pool heating. We also offer leasing for commercial systems, bulk buying for group purchases and the opportunity to purchase shares in cooperatively owned solar projects. Please visit our portfolio to view some of our previous installations. 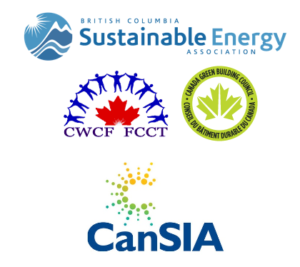 We are a member of the Canadian Solar Industries Association, the BC Sustainable Energy Association, Canadian Workers Coop Federation, and the Canada Green Building Council. Our office is located in Vancouver, BC, near Broadway and Cambie (View Map). Please book an appointment to visit our office. We do not have a showroom but please contact us if you would like any further information. What does “Cooperative” in your name mean? Vancouver Renewable Energy is a workers’ co-operative. This means that the workers are the owners of the business. This does not affect business operations in any negative way, but in fact, improves our service to customers, dealings with suppliers, and interactions with the public. Internally, VREC operates on a democratically-flat organizational structure, with all members working as a collective, having equal voice and authority in decision making. Unlike many companies, profit is not the sole driver of our business. We value the triple bottom line which includes the economy, the environment and social equity.